This 13.5" H. x 12" W. Magnetic "Dress-Up" activity is fun for all! (Ages 3+). Sticks to Refrigerators, File Cabinets, Lockers, and Magnetic Chalkboards. 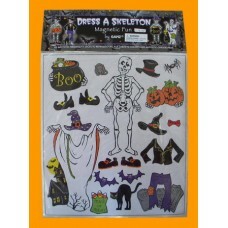 Available in "Dress-A-Witch" or "Dress-A-Skeleton". 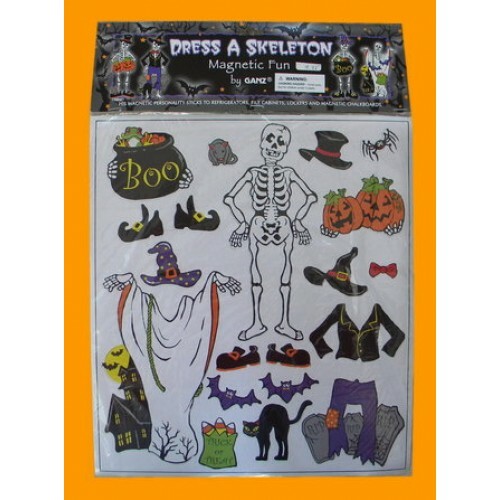 This 13.5" H. x 12" W. Magnetic "Dress-Up" activity is fun for all! (Ages 3+). Stic..